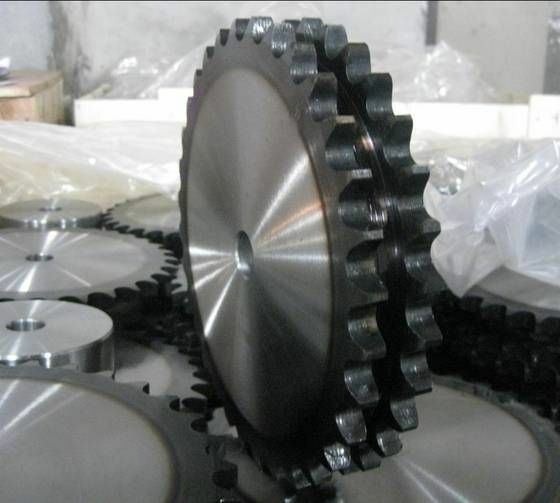 We are a world-class Roller Chain Sprocket manufacturer and exporter. We are particularized in the manufacturing of Sprockets in MS/EN8/C-45/SS, or material as per clients requirement and application. We have a team of trained technocrats which has considerable expertise in the field of choosing the material, getting the sprockets hardened to the right HRC to suit the clients application. And they all are expert in their respective jobs. We manufacture these Roller Chain Sprockets in Simplex/Duplex/Triplex/ Quadplex, in Type A/B/C, with bore and keyway as per International Standards and also as per clients drawings. We provide our clients with Material and Hardness Test Certificate from reputed laboratories on request. We are highly outstanding for our finish and workmanship that has made us overcome competition.